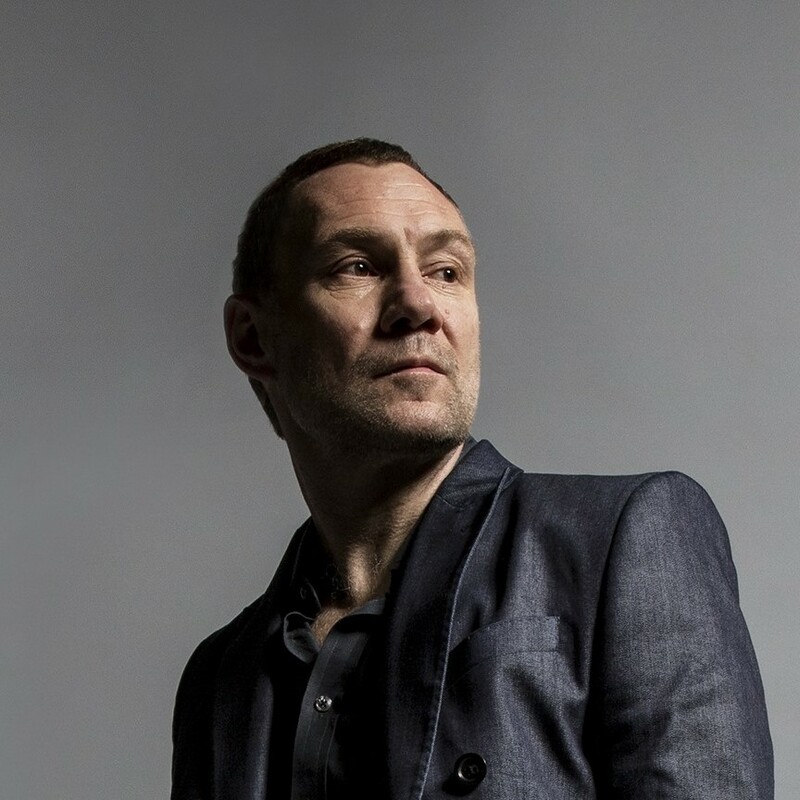 David Gray is no stranger to success, but sometimes it’s been a waiting game for the 50-year-old Sale-born singer-songwriter. He’s topped the UK album charts three times during a recording career of more than 25 years, first in the summer of 2000 with White Ladder, the single ‘Babylon’ the first of his nine top-40 hits, several Brit and Grammy nominations following that multi-platinum LP, along with plenty of commercial and critical acclaim, reaching No.1 again with follow-up A New Day at Midnight in 2002 then Life in Slow Motion in 2005. But while he received plenty of ground support from day one, it’s worth remembering that White Ladder was his fourth album and, self-released on IHT Records in late 1998, it failed to cross over for 18 months, Dave Matthews’ ATO Records’ re-release finally doing the trick. So you’ll understand why he’s showing plenty of patience awaiting the release of his 11th LP in 26 years, Gold In A Brass Age, his first of new material in four years. The producer this time was Ben de Vries, a nice twist seeing as David worked with his father, fellow producer and soundtrack composer Marius de Vries, 14 years earlier on double-platinum Life in Slow Motion. And despite the pair not having met before, the seeds of the album’s sound were sewn early on in David’s home studio in London. Of course, using electronics is nothing new for David – they were all over era-defining, 10-times platinum White Ladder in the late ‘90s and have featured on each album since. But it was working with Lamb’s Andy Barlow on 2014’s acclaimed Mutineers that opened his eyes to how they could transform his songwriting, not just his sound. The LP is out on March 8th, followed by a 17-date UK and Irish tour ending with two nights in Dublin, in a country where he’s had seven top-10 albums, just across the water from his old family base in idyllic Solva, Pembrokeshire. Raised in Altrincham before a family move to mid-Wales, he went to art college in Carmarthenshire then Liverpool before settling in London more than half a life ago. But don’t think for one moment he’s all about the past, his challenge here to retain the same excitement for music while pushing himself into unfamiliar terrain. And David was keen for all those interviewing him this week to properly listen to his latest long player first. Hardly an onerous task, mind. Three listens in, I was already impressed. We’ll have to wait another few weeks before it’s unleashed on the world, but it must be good to be able to finally talk about it, right? In fact, work on the album began in 2016 and was written and recorded in several month-long spells between tours to promote that year’s Best Of, including 50 US dates and a co-headline tour with Alison Krauss. Has he rehearsed with a band ahead of those dates? “The rehearsals haven’t started in terms of a full band – that starts next week. But I’ve already rehearsed enough to do it. We did it at a stripped-down showcase level. That was really great, giving me a sense of what it would be like. We’ve done a certain amount of the donkey-work. It’s quite technical this time, because there’s no way you can get around the electronic aspect of the record. And it’s been a long time since I played lived live with a computer on stage. And on tracks like ‘A Tight Ship’ and ‘Watching the Waves’ you’re duetting and harmonising with yourself (as is the case later with the similarly-splendid ‘Hall of Mirrors’, where the main guitar riff reminds me of the Rolling Stones’ ‘Gimme Shelter’ and perhaps the stand-out track for me). “Yeah, that’s something I’ve done a lot these last few years. I enjoy it and I’m free and available and like looking for harmonies. It’s one of the most exciting parts of the whole process – starting to look at sections of the songs seeing what’s possible. It’s very instinctive. I don’t think, ‘I’ll do a fourth, a fifth, whatever’. Wherever I feel against the music I should move. It’s a very personal thing. Well, we probably associate your voice with a certain gravelly, rich rasp of a vocal, yet there are occasional falsetto outings here too, and you seem comfortable wherever you are on the scale, the singing often softer, sweeter, more intimate. “Yeah, the voice is the hardest thing to get around when you’re trying to make things sound different. I’ve definitely been delivering the lyrics softer most of the time, not all the time – sometimes you’ve got to drive it through. That inventive approach in using your voice reminds me of Crowded House frontman Neil Finn’s similar path in recent times – moving into areas where perhaps he wasn’t so comfortable initially. Is he on your radar? It’s more about his more recent work and the creative direction taken, like you successfully experimenting with a wider vocal range. David’s lyrics have been transformed too, declamatory tales of love and loss replaced by couplets closer to poetry. 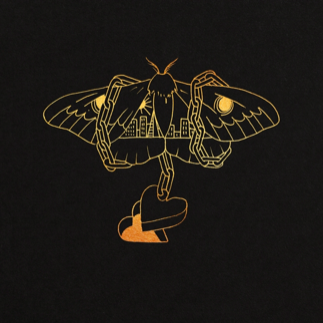 And while his guitar and piano playing remain, ushering in of electronica and exploring of new textures and sound palettes alongside new production techniques has turned his approach to songwriting on its head. Explaining his new approach, David said, “With this album, my default position was to try and approach everything differently. I didn’t begin by thinking ‘this could be a good hook’ or ‘these lyrics might work for a chorus’, and I was keen to get away from a traditional storytelling style. 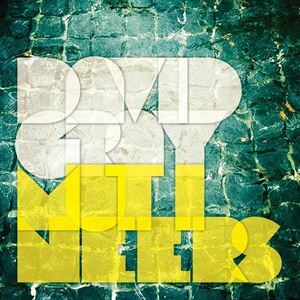 There’s certainly a soulful feel up front on this record, although – I suggest to David – I’m not sure if there’s an attempt to put more commercially-accessible material there, a hangover from the early days of CDs and notions that ‘youth’ don’t have the staying power to properly listen all the way through. That aside, I say, there are elements for me of Stevie Wonder on the chorus of opening track (and lead single) ‘The Sapling’. “Yeah, I feel there’s a real soulful vibe and swing, and that whole feel is closer to Prince than it is Van Morrison at times. That’s just the way it went. It wasn’t constructed with that view. “We only constructed the record in a way that felt natural and you had to start with ‘The Sapling’, and it was then felt we should put ‘Gold in a Brass Age’ after it. Beyond that, one of the challenges was putting ’Furthering’ somewhere, because that song starts so slowly – it’s almost like in quarter-time, but it gets there in the end. I mentioned Stevie Wonder there, and there are shades of Marvin Gaye on certain numbers, not least song two, the title track. “Who doesn’t love those two? I mean Marvin … we’d all be thanking him forever for What’s Going On? if that was the only thing he’d ever done. It’s just knockout. Incidentally, where was that sapling you’re writing about? I mean, did you have a particular location in mind when you wrote those lyrics? “Well, I’ve seen my kids growing up and I’ve seen a lot of people come and go now, and there’s this cyclical nature of things. I watched a raindrop fall in a puddle, saw these concentric circles emanate out from that. “I was in a park and they’d cut down a tree, I was looking at the rings and suddenly an acorn fell on the ground next to me and I thought, ‘God, it’s the same thing – the acorn creates the ring, just like ripples in a puddle, but over 150/200 years rather than a couple of seconds. David said he didn’t realise there was an over-riding concept to this record, until it was done and he realised ‘time ticking by’ was a a recurring theme, ‘fragility, renewal, a changing of perspective’. I told him I was more or less the same age, just turned 50 – we’d have been in the same school year – and it’s inevitable at our time of life that we’re losing people dear to us and seeing our children finding their own path. For the record, he does love his own, of course. Explain in a nutshell the central concept of Gold in a Brass Age, a line I gather comes from a Kafka-esque Raymond Carver short story, Blackbird Pie. Are you a big reader? “Yeah, I do read a lot. I read more than I listen to music these days. Carrying on from what I was saying about something just feeling right, we were working on a completely different song and I was doing these little loops of guitar, then had to step away to take a phone call and answer the door or whatever I was doing, and when I came back Ben had sort of looped these bits of guitar together and created this weird sort of groove, which is what you hear at the beginning of ‘Gold in a Brass Age’. “I said, ‘That’s great, forget the song, let’s deal with this. So we started working into it and the song was born there and then. I had hairs standing up on the back of my neck. The whole thing just suddenly happened. When we’d finished after about five hours – just getting the basic thing down, vocals, guitars and bits and pieces – he asked, ‘What should I call it?’ And I just said ‘Gold in a Brass Age’. I’d been re-reading the Raymond Carver book which it came from, although I didn’t really know where it came from. I just had it sort of logged and said that. Actually, the piped instrumentation on the title track takes me back to Vangelis’ gorgeous 1992 soundtrack to 1492 – Conquest of Paradise, an old favourite on the car stereo, and its final track ‘Pinta, Nina, Santa Maria’. Meanwhile, something like ‘Furthering’ takes me back to The Blue Nile’s Hats, maybe even Neil Finn again – perhaps in ALT with Liam O’Manlai and Andy White this time – but with an underpinning of Prince on ‘Sometimes it Snows in April’ perhaps. I get the feeling you could have rewritten White Ladder many more times over your career, but I don’t think that’s you. You’re more about keeping things fresh for yourself and everyone else. “Yeah, it’s about trying to find something true to say in a way you haven’t said it before. Doing the same thing again until you’re so good at it you can do it with your eyes closed, I think I’ve defaulted to a position of taking creative risks or stepping into the unknown, and if I don’t feel a sense of that, I feel I’m not making the right move. I want to challenge what it is I’m doing in the hope of catching myself off-guard and revealing myself, through my heart, in a way that’s fresh and new but says something truthful … whatever that means, and I don’t think here’s any possibility of that happening if it’s just rehashing things and staying where you are. Marius’ Moment: In 2005, David Gray worked with Marius de Vries, and now he’s worked with his son, Ben. 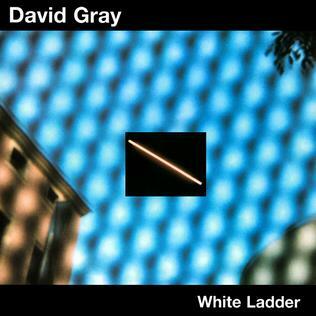 David reckons, ‘This feels like a London record, more than any I’ve made since White Ladder. The city has a staggering capacity to tear itself apart and rebuild at a rate that’s almost too much to take in. In its own small way this album is both a part of, and a tribute to, that relentless energy’. So how long has he been based in the capital now? And I’m guessing your North West roots are in the mix somewhere too. Were you surrounded by music growing up? Well, there are a few sampled operatic moments on this album. “Yeah – that’s not me, that’s someone who knows what they’re doing! But yeah, my Manchester roots are very much a part of me, as is my time in Wales. But I’ve been here a long time now. “London is a relentless place. It’s straining, it’s stifling, it’s a crush of sound and ideas and faces and people and things, and it’s sort of dehumanising – the scale and non-stop nature of it. Yet if you conserve that energy it can work for you. When you’re here a long time you see it tearing itself down, things you’re attached to – venues, places, pubs closing, the Astoria going, things being torn to the ground. You try and get your head around it and find different ways of dealing with the crush of people and terrifying speed of destruction and rebuilding. Maybe, but it’s hardly Matt and Luke Goss talk. 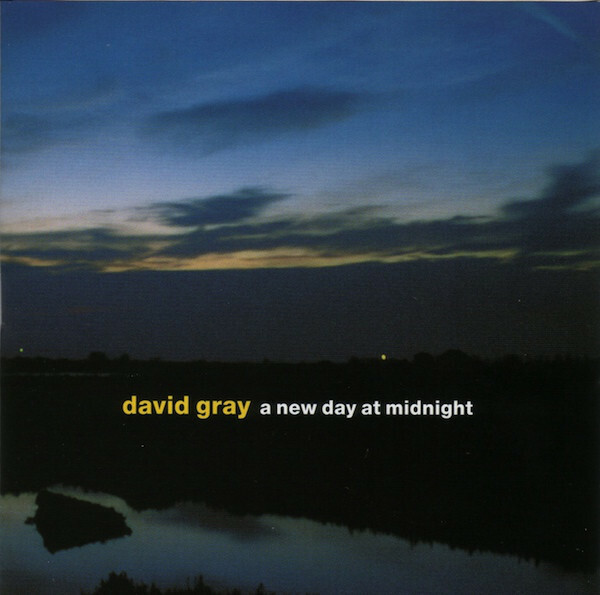 Incidentally, seeing as I mentioned the operatic touches, the track in question is ‘Hurricane Season’, which on first listen is the song we’d have mostly likely expected from the David Gray we felt we knew two decades ago. Yet it’s more complex than that, production-wise a rather layered, unexpected departure, with melodicas and soprano sax taking it off into unexpected territory, as if WriteWyattUK favourites The Magnetic North have suddenly turned up in the studio. All in all, it’s an intimate album and has that feel. Yet he’s still playing some large-ish venues, I point out, and is obviously still comfortable with those kind of surroundings. “Well, most are quite human-scale, theatres from about 1,000 to 3,000, but it’s the fact that the tickets have gone and the speed they’ve gone that has surprised me – because I don’t take any of this for granted anymore. Every record’s different and I’ve been putting a lot of effort in with the social media thing to connect with people rather than wait for someone to do me a favour, play something on the radio or whatever. And that seems to have worked. 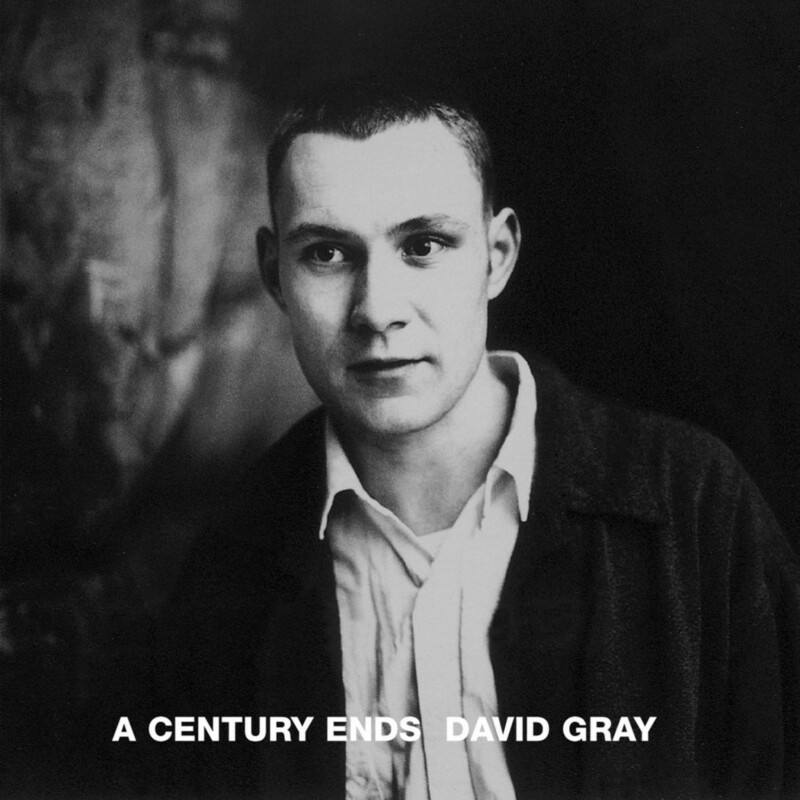 David Gray’s 11th album, Gold In A Brass Age is out on March 8th on IHT Records / AWAL Recordings, with a 17-date UK and Irish tour starting the following week in South Wales, calling at: Fri, 15 March – Cardiff St David’s Hall; Sat, 16 March – Cambridge Corn Exchange; Sun, 17 March – London Royal Festival Hall; Tue, 19 March – Brighton Dome; Wed, 20 March – Southend Cliffs Pavilion; Fri, 22 March – Manchester Bridgewater Hall; Sat, 23 March – Nottingham Royal Concert Hall; Sun, 24 March – Gateshead Sage; Tues, 26 March – Liverpool Philharmonic Hall; Wed, 27 March – Bournemouth Pavilion Theatre; Fri, 29 March – Birmingham Symphony Hall; Sat, 30 March – York Barbican; Sun, 31 March – Glasgow Royal Concert Hall; Tues, 2 April – Belfast Waterfront; Thur, 4 April – Castlebar Royal Theatre; Fri, 5 and Sat, 6 April – Dublin Bord Gais Theatre. For more details, head here. 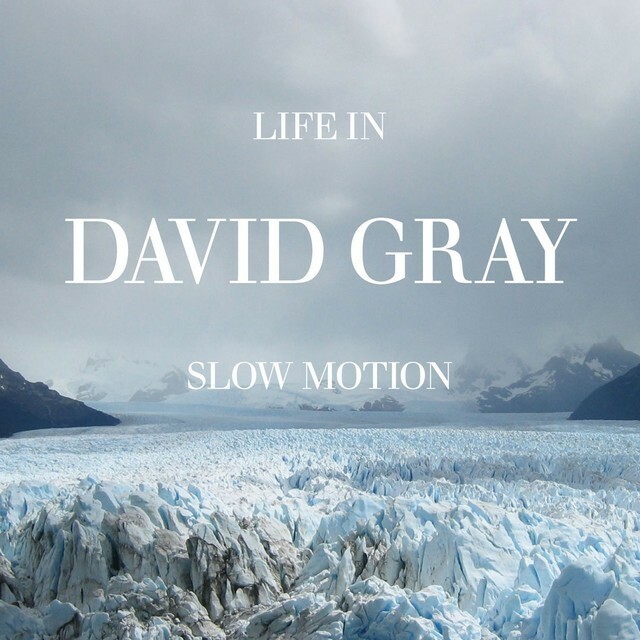 For all the latest from David Gray, check out www.davidgray.com. You can also keep in touch via Facebook, Instagram and Twitter. This entry was posted in Books Films, TV & Radio, Music and tagged Altrincham, Babylon, Ben de Vries, David Gray, Gold in a Brass Age, London, Marius de Vries, Marvin Gaye, Neil Finn, Prince, Raymond Carver, Sale, Solva, The Sapling, Vangelis, White Ladder. Bookmark the permalink.